An expansive across the Continental Divide extends to Longs Peak (14,255') in Rocky Mountain National Park from the summit of James Peak (13,294'). 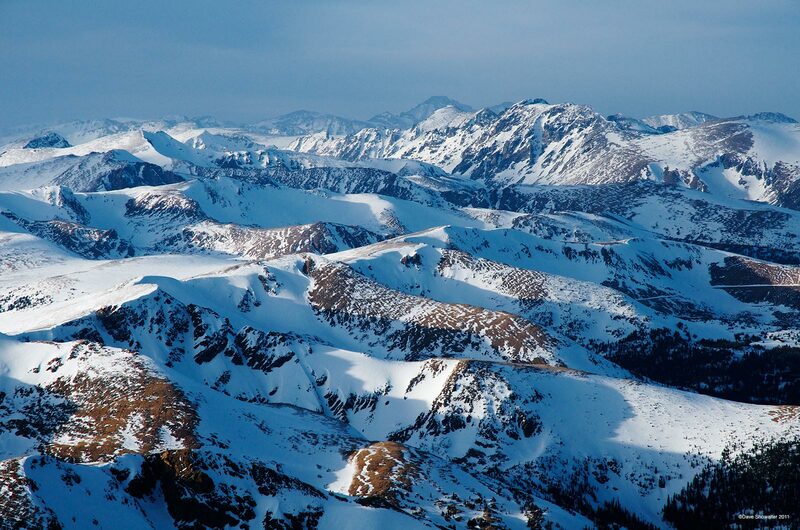 The James Peak Wilderness Area was designated in 2002. In this view, much of the annual water supply for Colorado's Front Range is held by the high peaks, waiting for release in spring. . Photo © copyright by Dave Showalter.